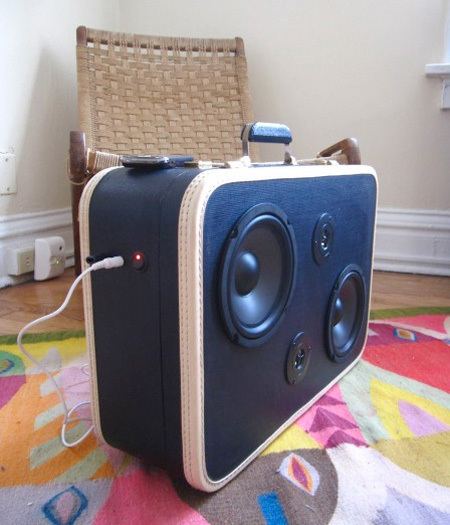 Mr. SiMo converts recycled suitcases into unique portable speakers for your iPhone or any MP3 player with a headphone jack. 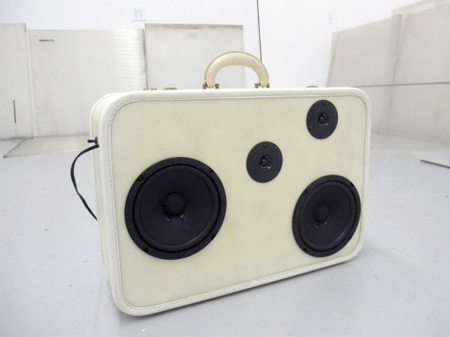 Each battery powered BoomCase will work for 8 hours on a single charge and it can also be plugged in when the party goes inside. This is totally sick. 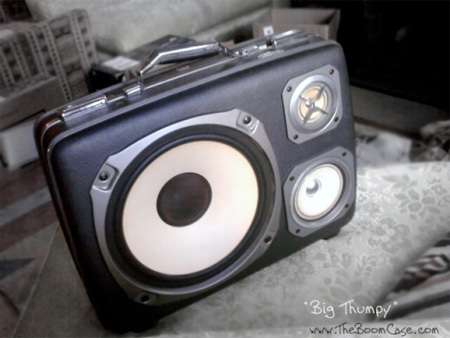 I would love to make some of these for guitar amps. 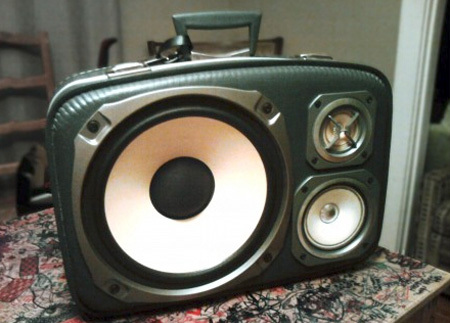 I’d be helpful to have high quality loud portable speakers like this. I’d love to have one. I agree with Sam that would be amazing to have. So great! Love the retro feeling, very cool! Im pretty sure with something as awesome as this the owner would be very carefull with it and would try the best to not break it. I agree with Zunny. 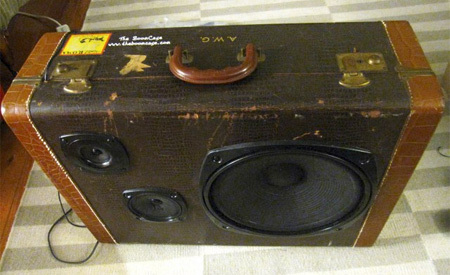 It looks nice and trendy and I applaud the reuse part of it but They can’t be quality because suitcases don’t have the structure speakers need. 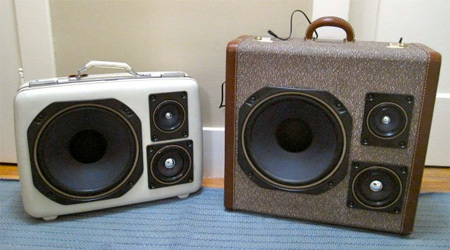 The speaker enclosure should be designed around the speaker not the other way around. This is a case of function follows form. But hey, if sound quality isn’t that important to you then I say go for it.